Add comfort to your dining room with this unique transitionally styled dining table from CorLiving. The DRG-895-T table is packaged in one convenient box and assembles in minutes. Features a Rich Cappuccino finish, square table top with reverse knife profile and lofted legs at an angle. A visually light piece of furniture well crafted at a great value. Accommodates up to four people. Add some tradition and class to your home with this classically styled bistro table from CorLiving. Featuring beveled glass revealing elegant fretwork on the base and warm stained solid wood trim detailed with a traditional ogee edge profile. Frame constructed of high strength steel with hidden plastic floor protectors to provide a sturdy base. Add the DJS-923-B barstool from the Jericho Collection to complete a stunning bistro set! The Lillian dining table strikes the perfect balance of modern design and convenient functionality. Whether planning for a quiet brunch, intimate dinner party, or used as a work table, this piece is well-crafted and beautifully made, including a 4mm glass table top to protect it, and space for four chairs to gather around it. Dress it up with creative seating, mix and match chairs, as this table blends well with any decor. Play hostess, tell your friends your cooking, and show off your new sleek piece. DRG-895-T Atwood 42" Wide Cappuccino Stained Dining Table Add comfort to your dining room with this unique transitionally styled dining table from CorLiving. The DRG-895-T table is packaged in one convenient box and assembles in minutes. 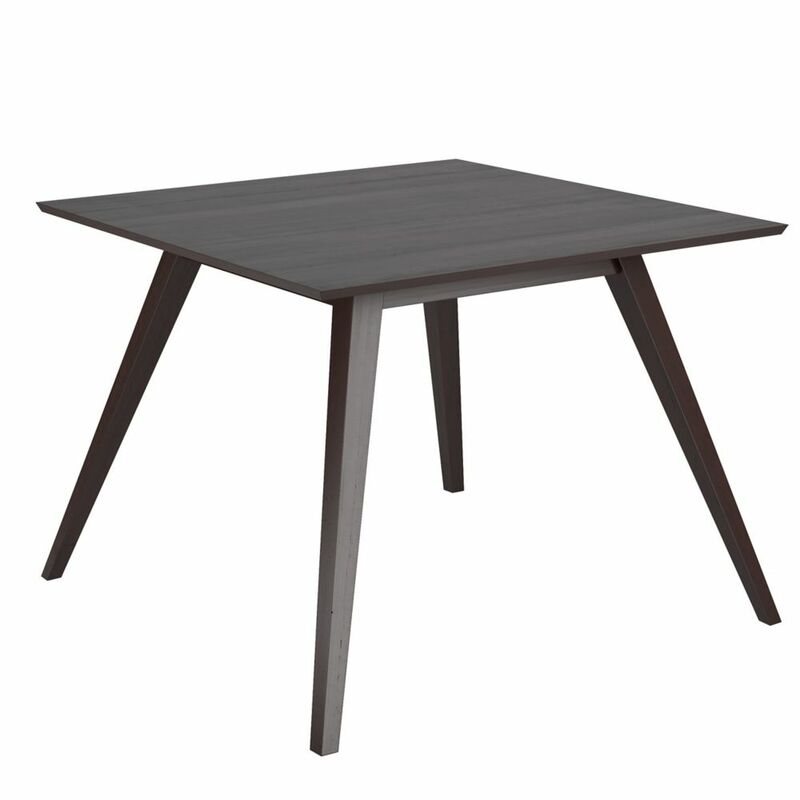 Features a Rich Cappuccino finish, square table top with reverse knife profile and lofted legs at an angle. A visually light piece of furniture well crafted at a great value. Accommodates up to four people.